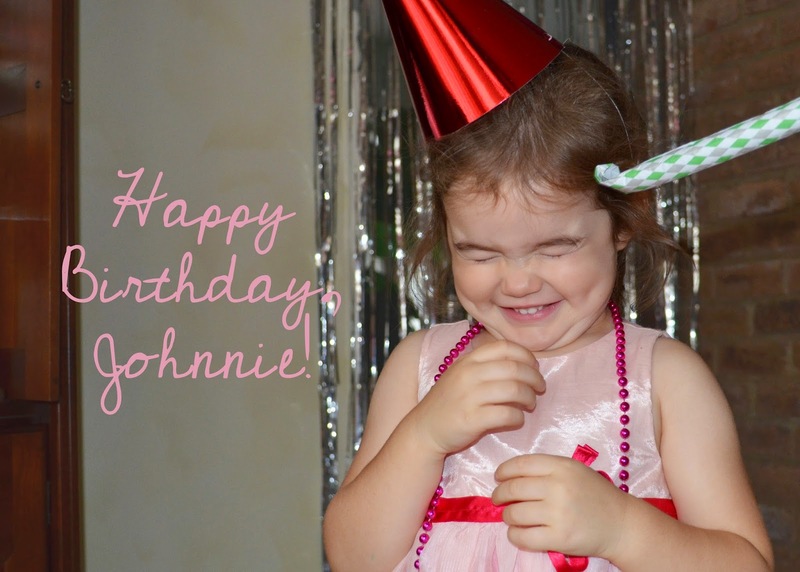 We celebrated Johnnie's third birthday on Saturday. I keep asking myself if it's really been three years since those dimpled cheeks came into our lives, but the calendar confirms it. I don't know about you, but this past year was the fastest of my life. 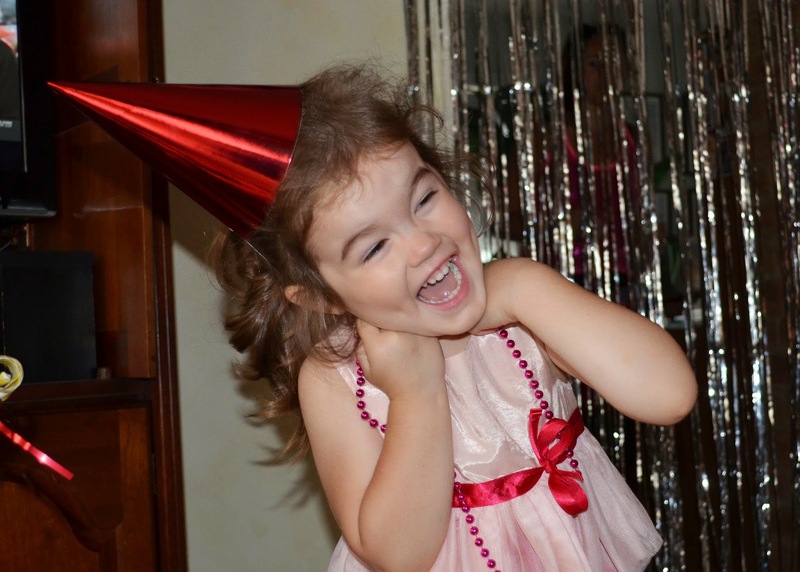 We threw a dance party for her and 15 of her little friends. It was the most fun mayhem we could've hoped for. 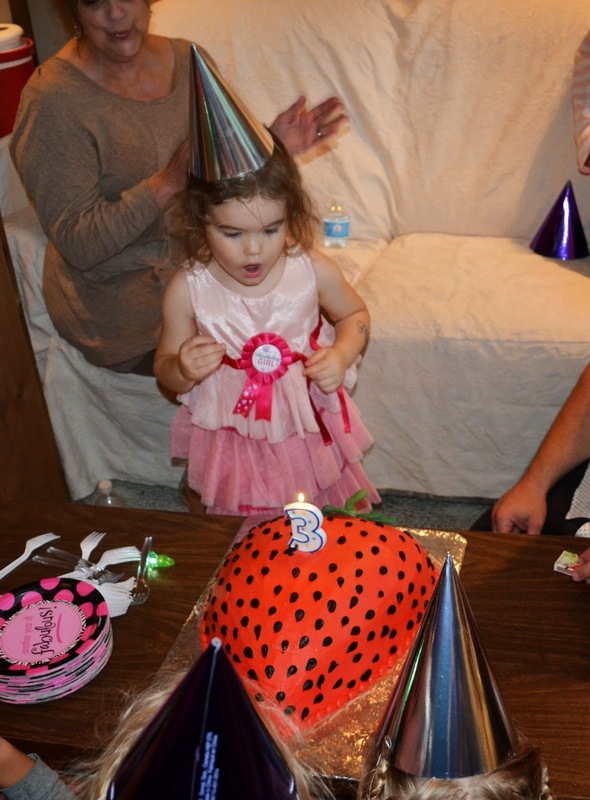 She asked us several times for a strawberry cake for her birthday, so we ordered a strawberry-filled, strawberry-shaped masterpiece from a local bakery. So good and so adorable. When the last song ended and the last guest left, Johnnie collapsed on the living room floor for a few seconds, limbs splayed and eyes closed. I didn't get a picture of that because I was right there beside her--the universal sign of a good celebration. The great thing about Johnnie though is that she finds something to celebrate every day. When she hears music, she dances. (That's how Ez got the idea for a dance-themed party.) We could all use a little more of that joy in our lives, and I'm so thankful for the three years of dancing and belly laughs she's given us so far.